Preheat oven to 350°. In a large saucepan, bring broth and butter to a boil. Remove from heat. Add stuffing mix; stir until moistened. 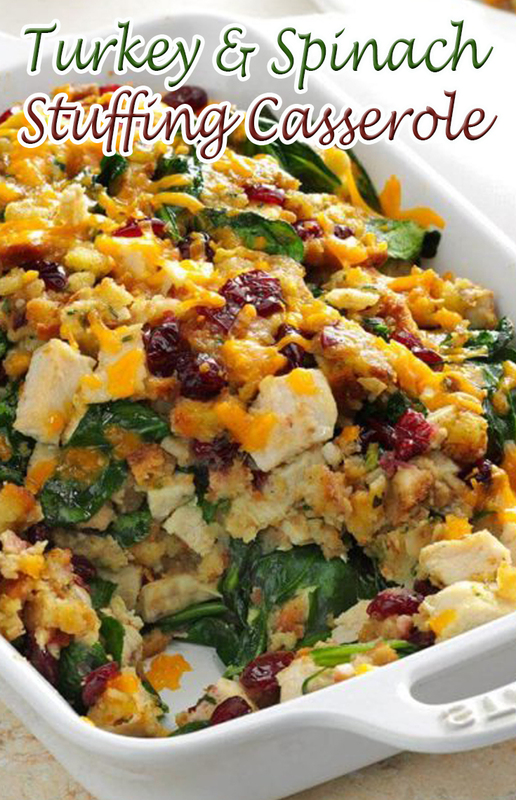 Stir in turkey, spinach and cranberries. Transfer to a greased 11x7-in. baking dish. Sprinkle with cheese. Bake, uncovered, 10-15 minutes or until cheese is melted.